Xseed Games has announced not only the release window for its upcoming action/RPG sequel Fate/Extella Link, but also dropping the details on the game’s special edition, which is called the Fleeting Glory Edition. Unfortunately, this also means a bit of a delay from its expected winter 2018 release window. 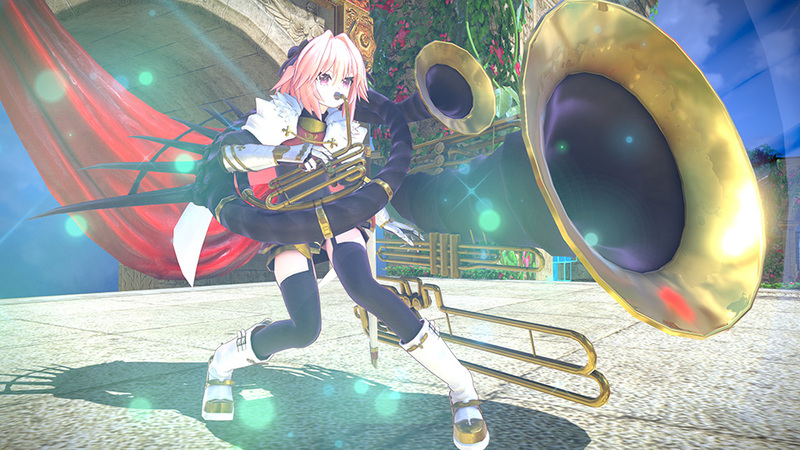 First of all, Fate/Extella Link is coming to the PlayStation 4 and the PlayStation Vita in Q1 2019. The PlayStation 4 physical and digital copies will retail for $49.99, and the Vita digital version will be $39.99. Meanwhile, the Fleeting Glory Edition, which is only for the PlayStation 4 version, will be $79.99. The Fate/Extella Link Fleeting Glory Edition comes with the game, a soundtrack CD, ten 3 x 5 art cards featuring the game’s new servant characters, a 17″ x 24″ cloth poster, a 3″ x 4.5″ acrylic diorama also featuring Nero, Drake, and Scáthach, and it all comes in a fancy box. Combatants from Across the Fate Universes Join the Fray–In addition to the 16 original Servants from Fate/EXTELLA: The Umbral Star, 10 characters from other Fate series will enter battle as playable Servants, including Astolfo, Scáthach, and Francis Drake. Hunker Down in Base Camp–Players can move freely around their army’s base camp—a medieval cathedral raised into the sky—and interact with their Servants to build meaningful bonds. Polished Graphics and Battle Mechanics–Players can experience refined combat mechanics and graphics through the game.